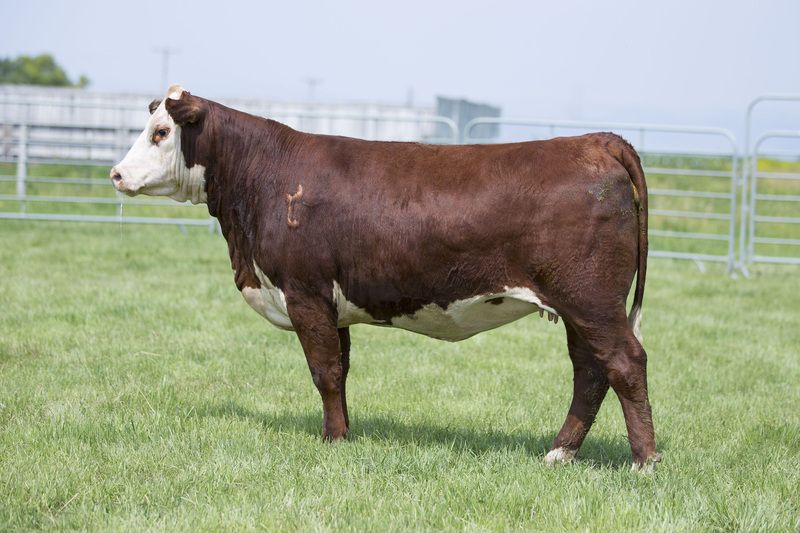 D160 is the perfect heifer to lead things off; sired by 332A and out of a direct daughter of Beth IL by Mr. Maternal. D160 is nicely balanced in the flesh and on paper, with good pigmentation. D160 is a foundation type femail and one of the good ones to sell this fall. AI’d to ILR H MILES 4140B ET on 4/16; pasture exposed to BAR STAR MAGNITUDE 737 from 6/03 to 7/31; ultrasound indicates safe in calf to AI date. 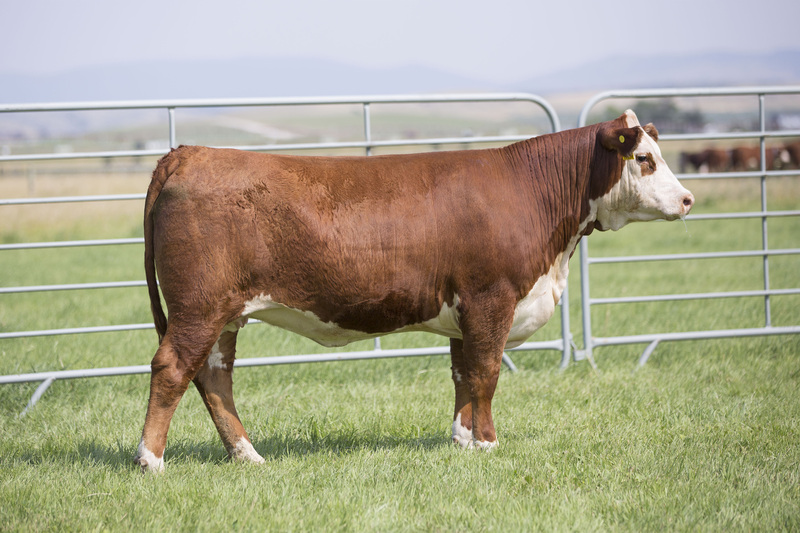 622 is an extremely stylish 332A daughter with a real maternal pedigree. You have to admire the depth and pattern to this gorgeous bred heifer. Some real cow power here. AI’d to E T719 BRAXTON C009 on 5/04; pasture exposed to BAR STAR MAGNITUDE 737 from 6/03 to 7/31; ultrasound indicates safe in calf to AI date. Another very well made 332A daughter out of a Colateral sired dam. Udder quality should be superb here. D157 is a really nice heifer that showcases the 332A influence. 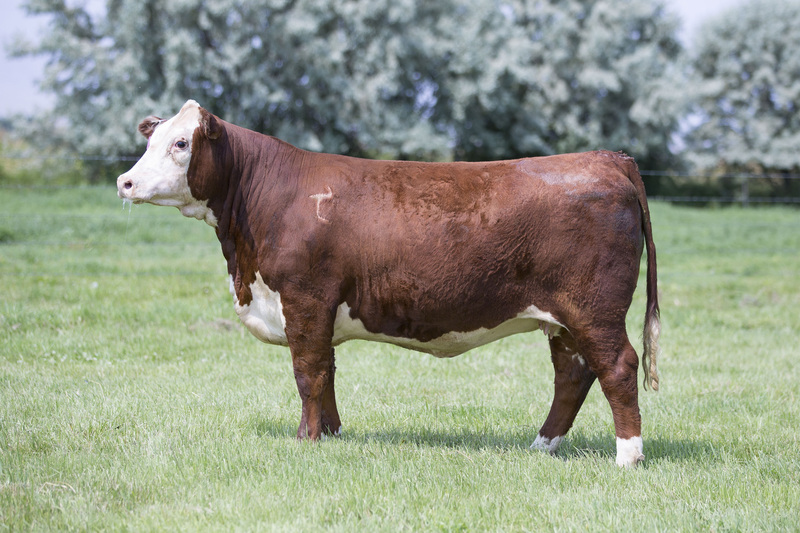 AI’d to E T719 BRAXTON C009 on 4/16; pasture exposed to BAR STAR MAGNITUDE 737 from 6/03 to 7/31; ultrasound indicates safe in calf to AI date. Sure fire calving ease and marbling bred in here. 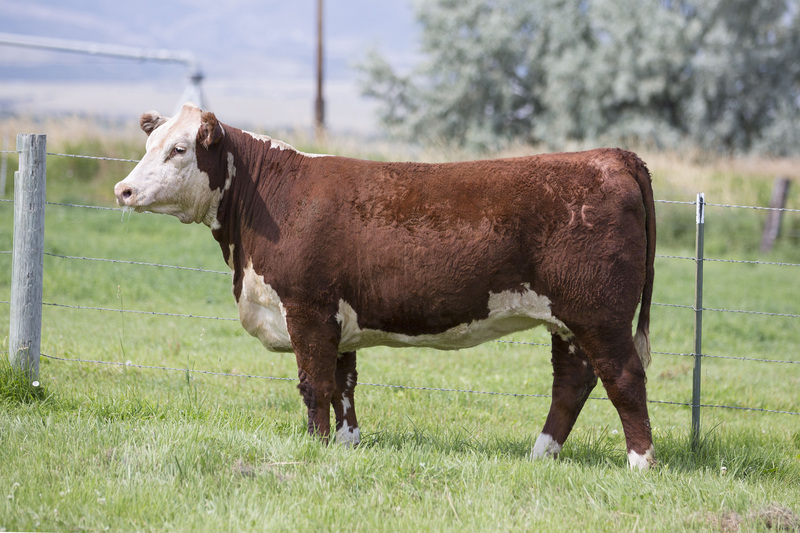 623 is another very nice example of what the 332A sired females grow out to be. AI’d to ILR H MILES 4140B ET on 4/16; pasture exposed to BAR STAR MAGNITUDE 737 from 6/03 to 7/31; ultrasound indicates safe in calf to AI date. Another nicely made 332A daughter with good pigmentation. There is probably a little more frame here than in D159’s ½ sisters. A nice female, nonetheless. 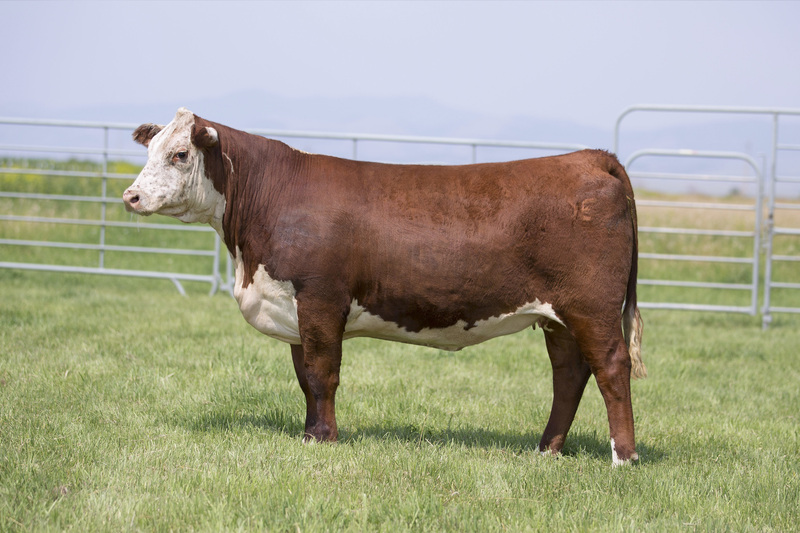 AI’d to ILR H MILES 4140B ET on 4/16; pasture exposed to BAR STAR MAGNITUDE 737 from 6/03 to 7/31; ultrasound indicates safe in calf to AI sire.